Daily Billboard loves how J.J. Abrams tries to keep his movies shrouded in mystery and intrigue so that in this day on internet spoilers you can still expect to be surprised at the cinema when you watch a new film. 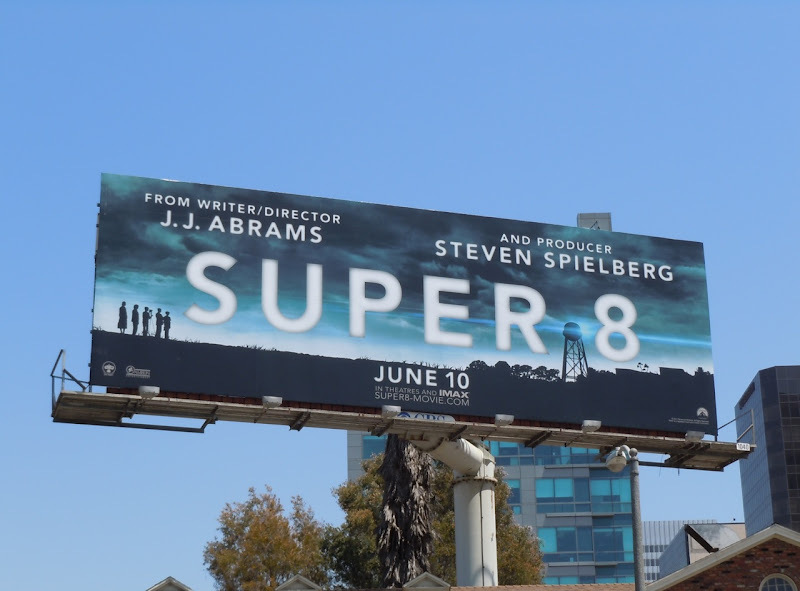 Following in the success of Cloverfield's pre-release secrecy, Super 8 has teased us just enough to titillate our taste buds, but hopefully not enough to ruin our enjoyment when we actually get to see the sci-fi movie. With credentials like Abrams and Steven Spielberg, it's hard not to be excited about this story about a group of young friends who witness a train crash in a small Ohio town in 1979 while making their own Super 8 film. 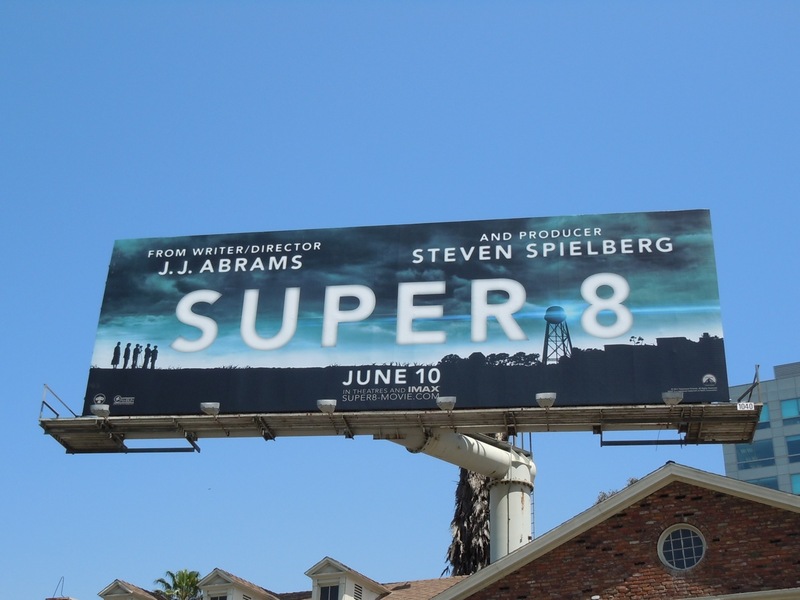 This atmospheric billboard for the movie was photographed at the corner of Sweetzer Avenue and Wilshire Boulevard on May 5, 2011.